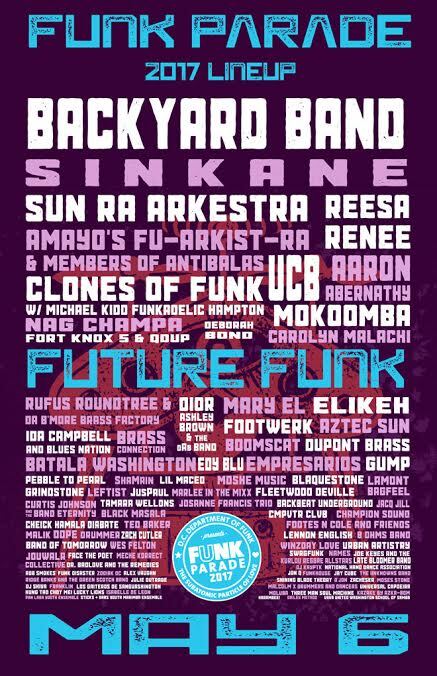 Funk Parade Hits U Street on Saturday | Park View, D.C. The 2017 Funk Parade is schedule for this Saturday, May 6th! In addition to all the fun and festivities, those traveling in the areas should be mindful that streets along the parade route will be closed from approximately 2:30 pm to 4:00 pm (full list of street closures and performance areas here). Interested in going? Check out all the information on the Funk Parade’s Web site. This entry was posted on May 3, 2017 at 7:01 am and is filed under Celebrations, Sports leisure and entertainment. You can subscribe via RSS 2.0 feed to this post's comments.